When New German cinema directors like R. W. Fassbinder, Ulrike Ottinger, and Werner Schroeter explored issues of identity—national, political, personal, and sexual—music and film style played crucial roles. Most studies of the celebrated film movement, however, have sidestepped the role of music, a curious oversight given its importance to German culture and nation formation. Caryl Flinn’s study reverses this trend, identifying styles of historical remembrance in which music participates. 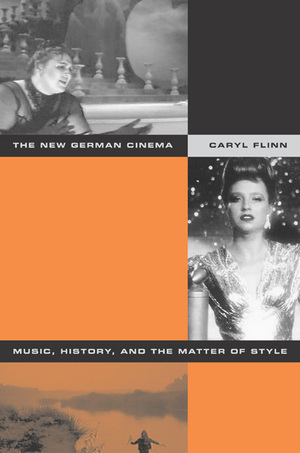 Flinn concentrates on those styles that urge listeners to interact with difference—including that embodied in Germany’s difficult history—rather than to "master" or "get past" it. Flinn breaks new ground by considering contemporary reception frameworks of the New German Cinema, a generation after its end. She discusses transnational, cultural, and historical contexts as well as the sexual, ethnic, national, and historical diversity of audiences. Through detailed case studies, she shows how music helps filmgoers engage with a range of historical subjects and experiences. Each chapter of The New German Cinema examines a particular stylistic strategy, assessing music’s role in each. The study also examines queer strategies like kitsch and camp and explores the movement’s charged construction of human bodies on which issues of ruination, survival, memory, and pleasure are played out. Caryl Flinn is Associate Professor of Women's Studies at the University of Arizona. She is the author of Strains of Utopia: Nostalgia, Gender, and Hollywood Film Music (1992) and coeditor of Music and Cinema (2001). 1. Mourning, Melancholia, and "New German Melodrama"